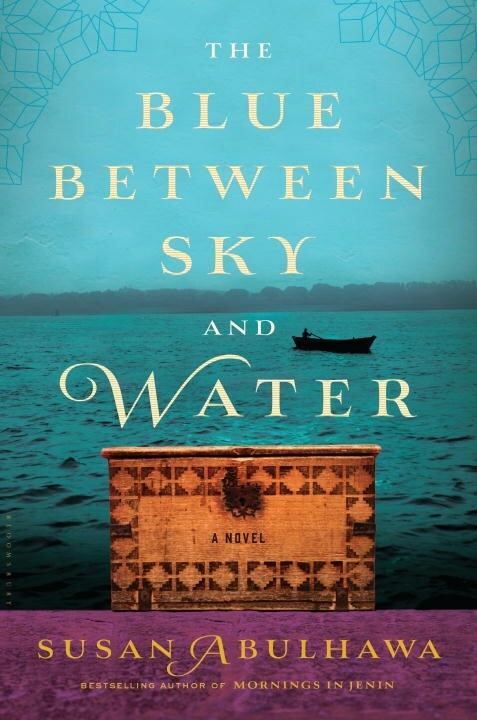 Grounded in reality and a bit of mysticism, The Blue Between Sky and Water is the story of four generations of women in Gaza and America, connected by family ties. The story opens with the voice of Khaled. At first he appears to be as a friend to the young Mariam. Meeting her at the river each day, Khaled teaches Mariam to read and write when she isn’t allowed to attend school. For years the family believes that Khaled is a figment of her imagination, but eventually it’s revealed that he actually exists. Khaled tells the story of the women of his family, beginning with his great grandmother, Um Mamdouh. Known by most in their village as a crazy woman, she is by no means crazy. As children of Um Mamdouh, Nazmiyeh, Mariam and Mamdouh are keepers of the family secret – Um Mamdouh is visited frequently by Sulaymen. If I understand it correctly, Sulaymen is an angelic presence. When it’s revealed that Um Mamdouh is not crazy, but is instead favored by Sulaymen, the family’s status is elevated. Restricted by opportunities to earn a living in Palestine, Mamdouh leaves the country. Through Khaled, we’re allowed to see the path Mamdouh takes, eventually settling in the U.S. Khaled is also the reason Nur comes to Palestine, an ancestral home she's never visited before. As Mamdouh’s granddaughter, Nur follows a different path than the family of women back in Palestine and it re-emphasizes the importance of not only family, but knowing your culture. She’s disconnected in a way that the others are not and it affects every aspect of her life without her realizing it. As Nur gets to know Rhet Shel, granddaughter of Nazmiyeh, she understands how family and culture play a role in the person that you become. It gives Rhet Shel a grounding and foundation that Nur didn’t have as a child. My favorite character in the book is Nazmiyeh. Sister to Mariam and Mamdouh, she’s confident and assertive in a time and place when women are expected to be quiet and submissive. Her brash ways and suggestive language make the other women around her blush, yet delight to be in her presence. Even as her family is pushed back by the displacement Israel forces upon them, even when her son is imprisoned for speaking out against injustice, she remains passionate about her family and her people. In a place where mothers are addressed by a title that references their child(ren), Nazmiyeh is always addressed by her name. This is not a sign of disrespect. On the contrary, it’s to show that though she is the mother to many and wife to one, she is still her own person and is respected as such. I can’t recommend this book enough. Without going into detail about the conflict between Israel and Palestine, I’ll just say that it’s refreshing to hear the stories of women and families living in Gaza. Their perspective is one that’s not heard often enough.